Tight credit restrictions can prevent consumers from getting a mortgage and making a home purchase. But over time, tight credit can impact a consumer’s expectations of the mortgage application process, reducing their willingness to even apply for a mortgage or to start the home search process. 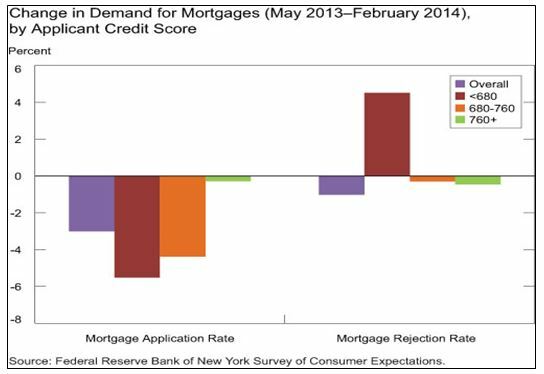 o Applications for mortgages fell sharply over this period for consumers in all FICO brackets. o The uniform impact is likely due to the nearly 80 basis point increase in mortgage rates over this time frame. o The mortgage application rejection rate fell for all groups except those with FICOs below 680.
o Borrowers with FICOs below 680 indicated a drop in plans to apply for a mortgage in the next 12 months by 6%, roughly 6 times the decline among borrowers with FICOs greater than 760, while plans to apply for mortgages by borrowers with FICOs between 680 and 760 increased roughly 7%. 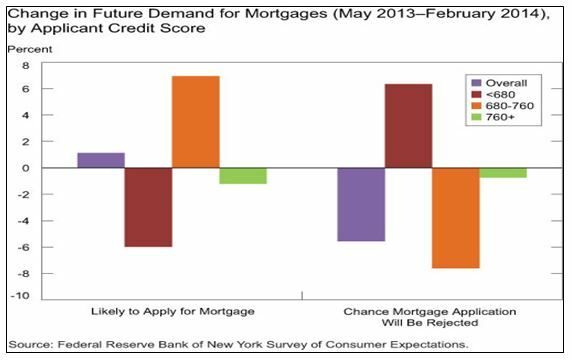 o Pessimism among borrowers with FICO scores below 680 increased as respondents who expected to apply for a mortgage also expected an increase in the 6% rejection rate. o All other groups expected a decline in rejections. 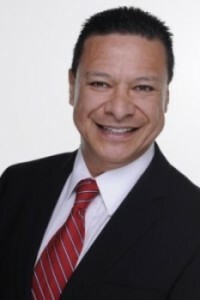 In recent weeks, some lenders have indicated a willingness to return to traditional, well-underwritten lending in the lower FICO spectrum. However, these efforts may be in vain without a more fundamental recognition from consumers. Lenders may need to trumpet these efforts in order to draw well-qualified, but discouraged, potential homeowners back into the market.